Childhood is a vital but fleeting stage of any life. When a parent lacks the resources to provide for a child, the results can be devastating. Researchers have found that children who enjoy the financial support of both parents have a better chance of success in life. When you are owed back child support, a Tulsa child support collection attorney can assist you in getting the money you need to care for your child. You can fully dedicate your time to your child’s care when a knowledgeable, aggressive Oklahoma child support collection lawyer is on the job. 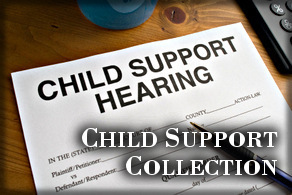 Public agencies — including Oklahoma Child Support Services — represent children’s interests in child support collection. Like many public agencies, they can be burdened with case backlogs, administrative priorities and their own budgetary limitations. A Tulsa child support collection attorney can provide the individual attention required to assure your child’s needs are met. Children who enjoy regular source of support are more likely to graduate high school, complete college and enjoy a stable marriage. Don’t wait until these fleeting years pass to collect the support your child deserves. For a free confidential consultation with a Tulsa child support collection attorney, call the Wirth Law Office at (918) 879-1681. Whether or not you’ve taken action to enforce your child’s right to child support, Oklahoma law is designed to protect your child’s interests. Non-custodial parents automatically owe child support regardless the status of court proceedings. The law provides means for parents who cannot afford to pay to seek an Oklahoma child support modification. Otherwise, delinquencies not paid add up, and eventually become part of a judgment — even without a custodial parent filing or appearing in court. What’s more, arrearages accrue along with interest, which is charged at steep rate. The child support obligation is a statutory process, which means a custodial parent doesn’t have to do anything for the arrearages and interest to accrue. It’s the child’s right. While back child support and interest automatically accrue, collection isn’t as automatic. An Oklahoma child support order must include an income assignment, which requires garnishment of the non-custodial parent’s wages or income. Until it’s enforced, an income assignment is just a piece of paper and a court’s order. A custodial parent or their child support collection attorney may have to track down the non-custodial parent’s current employer, prepare the necessary documents and serve the employer. Some non-custodial parents who owe court-ordered child support successfully evade attempts to garnish their wages. In that case, Oklahoma law allows custodial parent to file a contempt-of-court action. A non-custodial parent who willfully refuses to pay child support may be sentenced to up to six months in jail fined up to $500 and lose their drivers license until they pay up. An Oklahoma child support collection attorney can sometimes persuade a non-custodial parent that the consequences of not paying outweigh any reason not to pay. If a non-custodial parent refuses to pay, a child support collection attorney can take the action required to get your child the support they need. If you would like a free consultation with an Tulsa child support collection attorney, call the Wirth Law Office at (918) 879-1681 (or toll free at (888) Wirth-Law) or submit the question form at the top right of this page.